00% cotton. 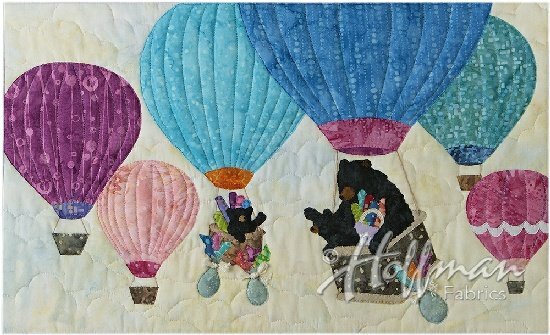 Fabric kit for one block of the “12 Months of Happy” BOM series designed by McKenna Ryan of Pine Needles. This kit includes the Hoffman Bali Batiks and Watercolors selected by McKenna. Every fabric is cut to McKenna’s pattern specifications. Kit does not include border fabrics.